A new survey from Pew finds that Americans have more confidence in German Chancellor Angela Merkel (56%) "to do the right thing regarding world affairs" than they do in President Trump (46%). The U.S. is not alone: Most residents of G20 countries have more confidence in Merkel than Trump, and in seven leading countries — Germany, France, South Korea, the U.K., Canada, Japan and Australia — the margin is at least 40% in Merkel's favor. Trump vs. Obama: Confidence in the U.S. president dropped in 35 of 37 countries since Barack Obama left office. In European countries, confidence in Trump is as low as 7%. Sweden had the biggest drop, from 93% under Obama to 10% now. 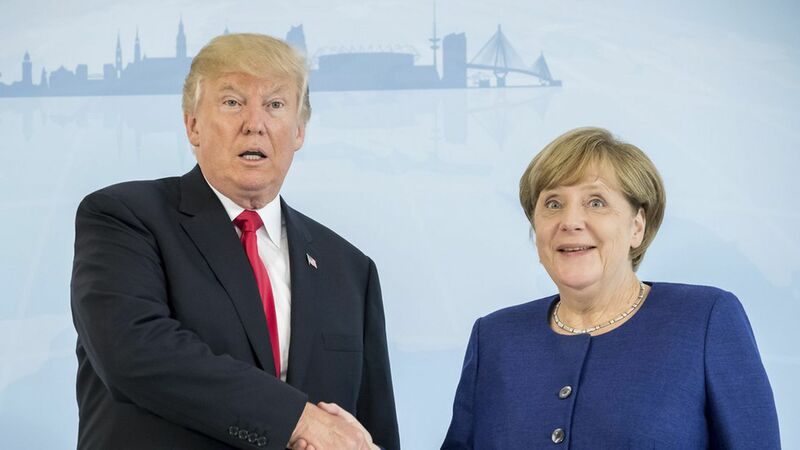 Why it matters: Trump is meeting with world leaders, including Merkel, at the G20 summit in Germany today and tomorrow where he'll seek support for his policies on climate change, trade, and immigration. His unpopularity around the world — and in the U.S. — won't help.